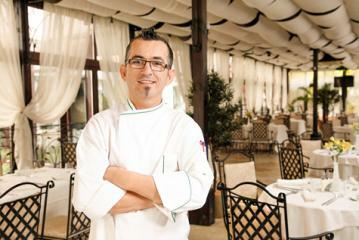 My name is Radostin Kiryazov and I am the owner of Osteria da Rado. It’s a great pleasure for me and my team to welcome you in our first restaurant in Sofia! So far it’s been six years since I started welcoming local guest from Varna and tourists who are visiting the city at the time in my restaurant in the Sea garden. In 2012 the restaurant was certified by the Italian chamber of Commerce and received the award ‘’Italian hospitality – Italian Restaurants in the world 2012’’ which guarantees covering all standards of the authentic Italian cuisine. I have won many prestigious awards, such as 6th place in pizza presentation at a World Pizza Championship in 2009, 3rd place at the 2011 European Pizza Championship and 8th place at the World Pizza Classics Championship in 2011. I have also the honor to be a member of the jury of the World Pizza Championship in Salsomaggiore Terme in 2012. We really hope you enjoy your stay in our restaurant and have a piece of the genuine Italian cuisine. You will have the chance to taste some unique dishes such as homemade pasta and freshly made ice-cream. Carefully selected wines from Italy, Bulgaria, France, Spain, Portugal, New Zealand and other countries, will implement in a perfect way the food we offer. Now, I encourage you to open the menu and trust us. Whatever you choose, I can assure you that has brought a little piece of the Italian culture here especially for you! We wish you a lot of smiles and never ending good mood!